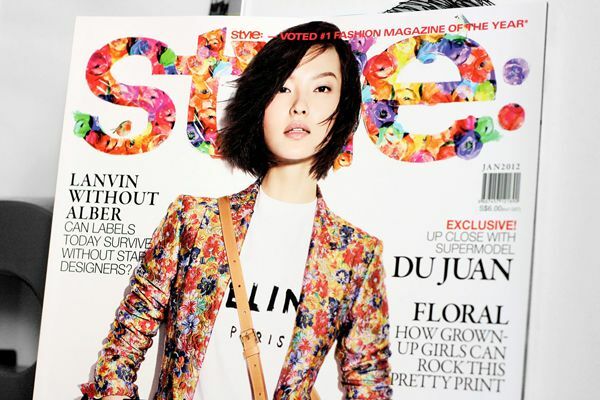 It made the cover of Style Magazine of Singapore, January 2012. I bet everyone with a copy would call up the store and ask if they still have it in store. Anyway my dear friend, One Sixty Notepad did the illustrated floral cover text, and this photograph was from their Facebook page. This Resort 2012 is very tongue-in-cheek to what I’ve come to expect from Céline. Especially this particular look, which is quite revocable when we look at the brand’s usual no frills aesthetic. The last time I saw this on the mannequin at the Ngee Ann City boutique, complete with the bustier, was around ten days ago. I felt almost completely hopeless when the salesgirl told me that they don't sell them separately. I was like, what? I didn't dare to ask the price because I know for sure, when sold together with the bustier it will cost a bomb. Here is a clearer look of the tee. I mean, who would expect Philo to move over to blatant branding like this? I'm sure you all might have seen the YSL logo tee, some may already get bored of it. But Céline, I would say, takes it to another level. The point of me blogging about this is that I just recently found out perhaps maybe you can buy the tee only, yes, separately. According to T Magazine of NY Times, the Céline t-shirt cost US$405, which is not bad at all. Call (305) 866-1888. I really like the rough letters but too much people wearing this. such a beautiful collection! 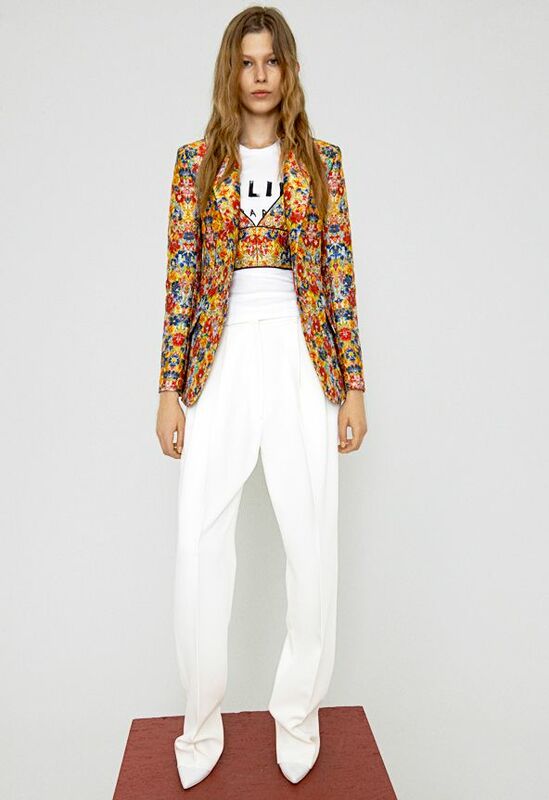 I love the unexpected pops of color from celine!! Love the pink, celine is so versatile.